David Michael Bowers, born 1956 in Chambersburg, Pennsylvania and graduated from art school in Pittsburgh 1979. He began working as a staff artist at various studios in the Pittsburgh, PA area. Two years later, David began teaching his craft at the Art Institute of Pittsburgh where he lectured for ten years and was honored as the Keynote Speaker for the Class of 2003. In 1991, David began his illustration career working mostly with book publishers in New York City in which he completed over one hundred book covers in the span of over ten years. Also, David’s work graced the cover of numerous prominent magazines, including TIME. He also painted the portrait of J. P. Morgan for the cover of Cigar Aficionado , as well as the family portrait of the Rothschild family and the Chateau Latour Winery for the covers of Wine Spectator magazines. These paintings are now part of the publishing company’s permanent collection at their corporate headquarters in NYC. Bowers’ illustrations received numerous awards including three Joseph Morgan Henniger Awards, “Best of Show” from the Society of Illustrators of Los Angeles along with two Patrick Nagel awards. These awards recognized David with the best, published illustration of the year. Also, David received nine other medals recognizing his work from that organization. 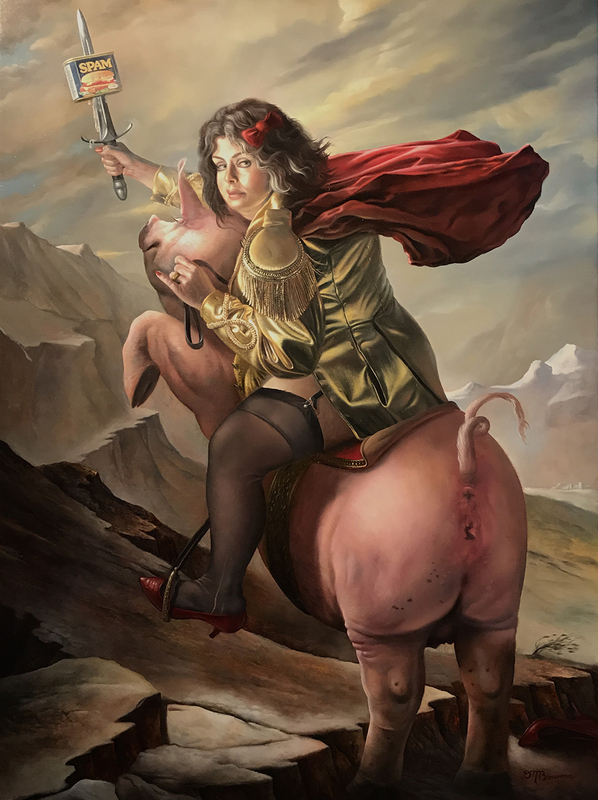 David also received numerous medals and Merit awards from the Society of Illustrators in New York, Spectrum’s Best of Fantastic Art and Communications Arts Magazine. 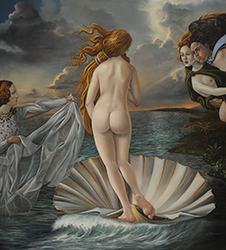 As David transitioned into Fine Art, his work continues to be recognized by various organizations including the “Best of Show” from the American Society of Traditional Artists in 2014 and Best of Show from the International Guild of Realism, the “Jack Buncher Award” from the Carnegie Museum of Art in 2013, the “Best of Show” in 2011, “The Best Tromp L’oeil” in 2010 and “Pioneer in Realism” award in 2009 from the International Guild of Realism. David was recognized by The Art Renewal Center with the “Chairman’s Choice Award” in 2013 along with the “Staff Award” in 2011 and in 2009 recognized as a “Living Master.” David’s painting titled, “Made In America” received the 1st place award from The Portrait Society of America in 2011 & 2014. 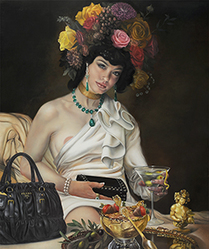 Bowers was a semifinalist for the Outwin Boochever Portrait Competition in 2009, National Portrait Gallery, Smithsonian Institution. Bowers lives in Madeira Beach, FL with his wife Kimberlie, where he paints very meticulously and methodically day in and day out.